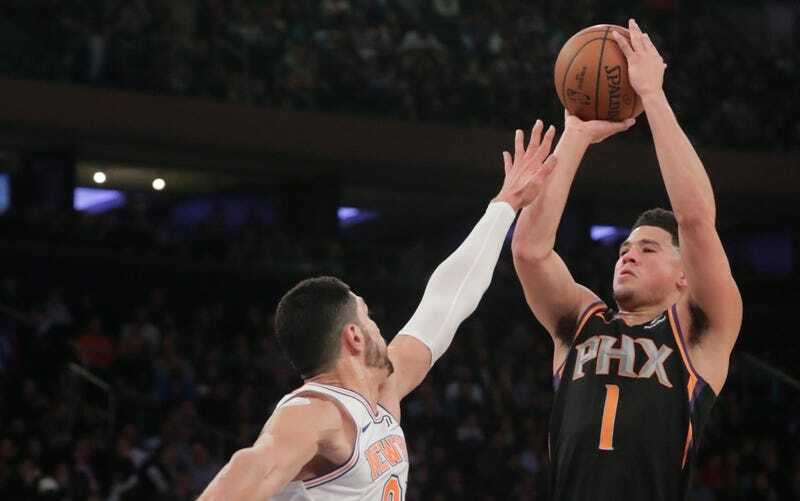 Way back in January of last season, Devin Booker was ejected from a game after gently shoving Enes Kanter in the Suns’ 107-85 loss to the Knicks. Kanter, being as exhaustingly online as he is, made an insipid meme depicting Booker holding a large “L” right after the game. As far as “slow-release beefs between forgettable dudes who rack up big empty-calorie offensive stats on rancid teams” go, well—that’s not bad! That’s pretty good. ...in clowning this man’s defensive shortcomings out in public. This is a brave, crucial conversation for the league. Kudos to Booker for picking up the thread.